The Bible Patch is designed for children ages 0-5, and is divided into three separate age-appropriate classrooms (0-2, 2’s & 3’s, 4’s & 5’s). All children must be checked in and out of the area with our secure check in system. Check in kiosks are located on both sides of the children’s area in the atrium. You will need to check in your children at one of these stations before bringing them into the children’s area. 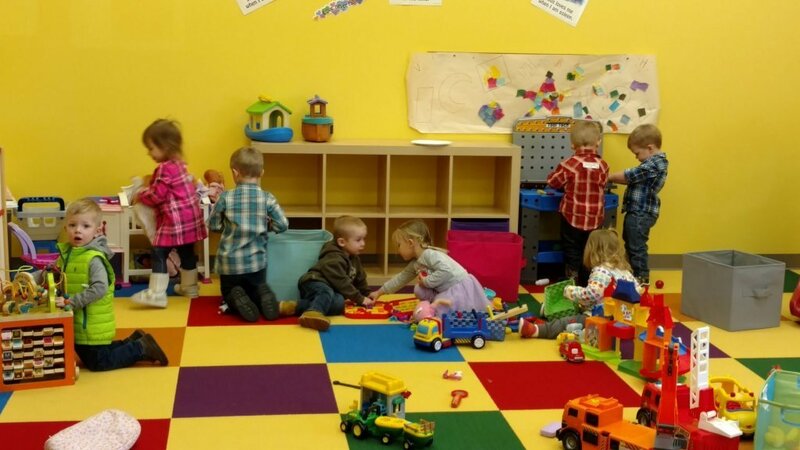 The nursery area at GNG is designed to be a safe place for children ages 0-2. In addition to a learning center, the nursery does feature a crib room to allow your child to rest if needed. While learning through art and music, your child will be introduced to God’s Word. 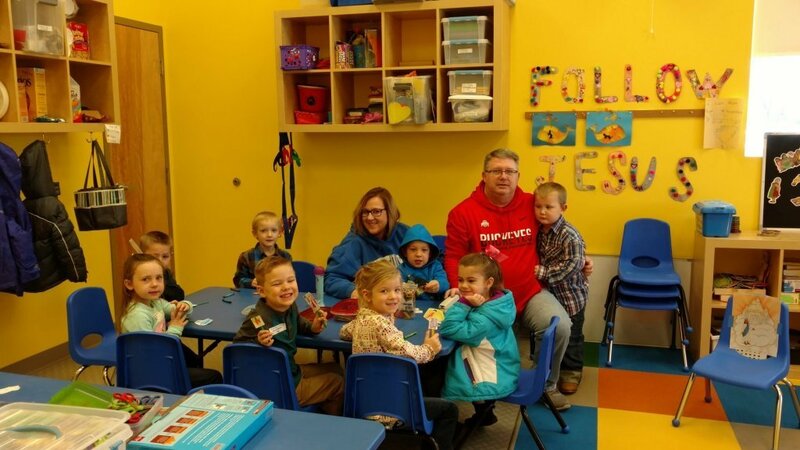 The 2’s & 3’s and 4’s and 5’s rooms are both equipped with learning centers and craft areas. Both rooms also feature private restrooms that are specially designed for kids (i.e. tiny toilets). The nursery/preschool area is available for children beginning at 8:45 am for the first service and at 10:30 am for the second service. Pick-up begins immediately after the adult worship service ends; the area is staffed until every child has been picked-up. If you have any questions about the Bible Patch, please contact the GNG office at 393-5383.